In July, doctors informed cancer patient Daniel Fleetwood that he only had two months to live. Upon hearing this news, Fleetwood's wife Ashley created the hashtag #ForceForDaniel; a social media campaign being used on Twitter to draw the attention of Walt Disney Studios. The hope was that Fleetwood would get his dying wish of seeing the upcoming 'Star Wars' installment, "The Force Awakens". I'm delighted to inform you that his wish was granted yesterday! Director of the movie himself, J.J. Abrams, reached out to Daniel with a phone call on Wednesday night... and the next day the studios brought an unfinished cut of "Star Wars: The Force Awakens" to his home! Marking the second time Abrams has granted early access to a dying fan. Ashley used Facebook to let everyone know Daniel's dreams had be realized, saying "Today the wonderful Disney and Lucasfilm made his final dream come true, in the amazing typical Disney way, they really do make dreams!" She also went on to thank all the supporters of her campaign, #ForceForDaniel, some of that support coming from Mark Hamill and two other stars of the upcoming 'Star Wars' film. And wrapping everything up in the most perfect way possible, Ashley continued, "...thank you beyond words. May the Force be with you all."  Listen to Kristen weekdays 10 am to 3 pm. Catch up with her on Facebook and Twitter, and follow her on Instagram!